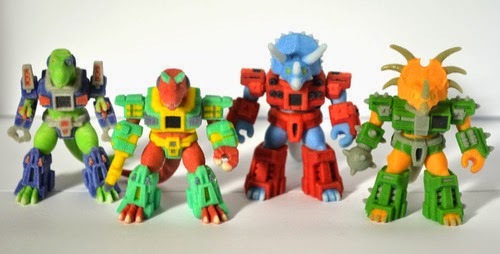 If you're like me you don't much want to buy 3D printouts because you're someone who loves toys from molds that are spit out in China or whatever. Well, Trent Troop posted two Combat Creatures photo dumps to Tumblr showing off the latest batch and dammit, they're good. This post has some comparison shots and turnarounds of the new guys. This one has more group shots of the new releases. He's new! 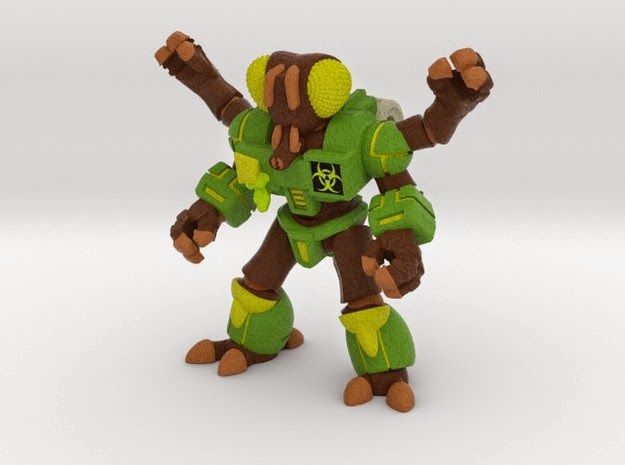 Radioactive Roach is Trent Troop's latest creation on Shapeways. 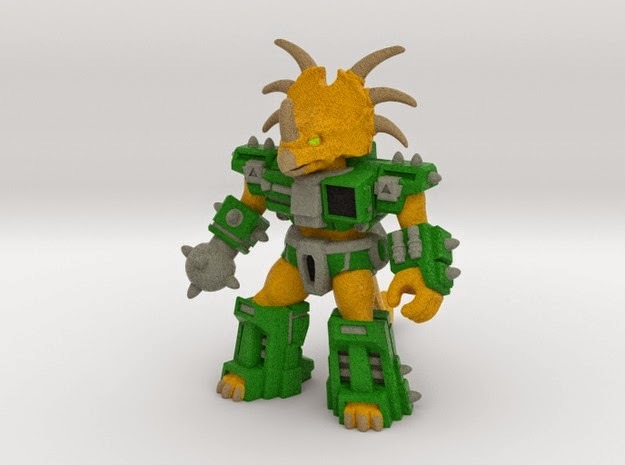 This Combat Creatures figure comes in colored sandstone so far, with more color and variety in design than most of the others. Note an added radioactive symbol on his left gauntlet. Since their reveal a few years ago, people have been asking "So did those Rise of the Beasts figures ever get made?" The answer is yes - this Kickstarter update shows the production thus far, and puts forth a tentative November 15 release date in the Little Rubber Guys store. 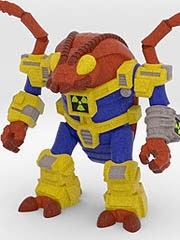 The figures transitioned from just another figure line to a Glyos-compatible series with the requisite recolors. 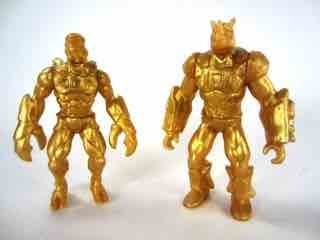 They're also quite cheap - $4 per unpainted figure (black, gold, flesh) or $7 per painted figure (1 of each style). So that's 8 figures you can buy. More surprisingly - agonizingly so - are four bonus painted mail-in redemption figures. Buy 10 figures, submit 10 special stickers, and get a random figure. One is pictured here - they're pretty frustratingly gorgeous and I hope they consider selling them outright, because I'd pay for a set. As of when I write this, I don't know much about the long-gestating Rhino and Scorpion. 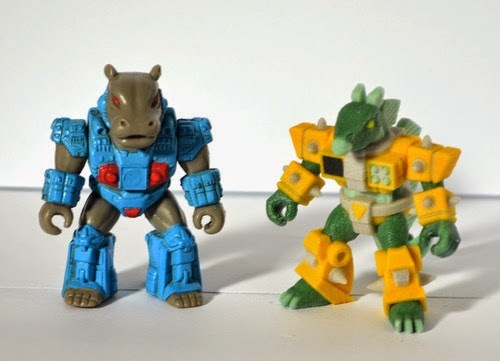 Prototypes for these and other 2 1/2-inch scale mini figures have been around since Rise of the Beasts was a Kickstarter project back in early 2012. Creator Jon Karis assured me that the line would come to fruition and I have to admit I had my doubts - but the figures are here! And they're pretty good - painted samples exist, as do flesh figures and a sort of a bone-colored sample. 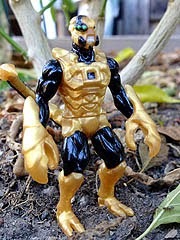 No on-sale date is known, but backers were given their choice of figures as a promo piece - the original plan was for a golden lion, which is not in the immediate future plans. See Three New Combat Creatures - Stab-Happy Stegosaur! Trent Troop's Octavirate Forge has added three new Combat Creatures - and they're pretty spectacular. 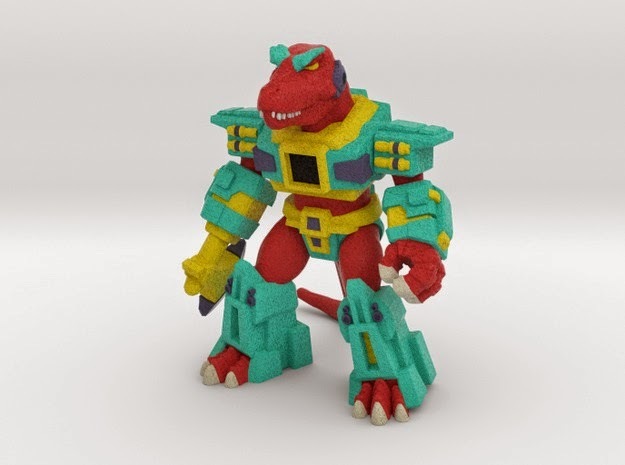 Stalwart Styracosaur was shown previously, but now you can get one. The full color sandstone version is $12.37. 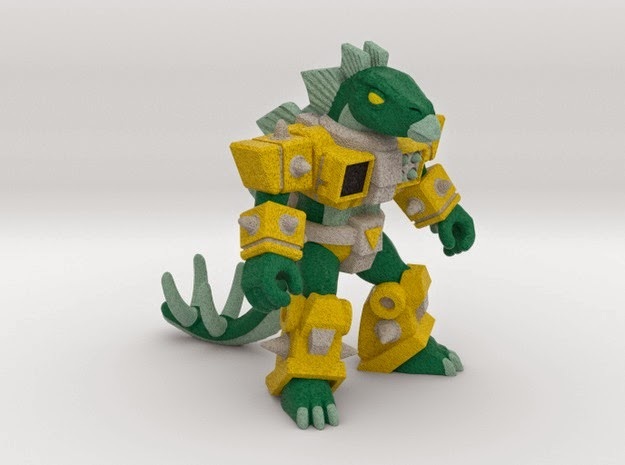 Atomic Allosaur is also up for grabs at $17 for full-color sandstone. Stab-Happy Stegosaur is my favorite. He's $11.82 and clearly the best of them - so get one, if you dare! New from Trent Troop, it's Combat Creatures Fetid Fly! It feels like a merger of the original Beasts with a little bit of that trashy slimey gross feeling courtesy of a garbage can backpack and some junk on his person. Click here to get one off Shapeways now. Also if you're in the market for this stuff, check out this post explaining which materials are best for which functions. Apparently full-color sandstone is not great for articulation!